Singer-songwriter and guitarist Gabby Alipe led his Urbandub bandmates in rocking Encore to jumpstart the Rock N' Rogue concert series event last April 29. The well-loved band also celebrated its 10th year in the music industry that evening. Encore (formerly known as Embassy) at The Fort in Taguig City turned into a rock n' roll haven last April 29 as Urbandub celebrated its 10th year in the music industry while jumpstarting the Rock N' Rogue concert series. Urbandub—composed of Gabby Alipe (lead vocals and guitar), John Dinopol (guitar), Lalay Lim (bass guitar), and JanJan Mendoza (drums)—started out in their home island Cebu before building a cult-like status among local rock fans and enthusiasts both in and outside Manila. The band dished out songs covering almost their entire catalogue. "First of Summer," "Frailty," "Guillotine," "Fight is Over," "Gravity," "Call to Arms," "Alert the Armory," "Endless, A Silent Whisper," and "Evidence" were only some of the hits Urbandub performed that evening before a jampacked venue. Fans tirelessly sang along with the group from start to finish and even raised a toast with their glasses and beer bottles to salute their heroes. 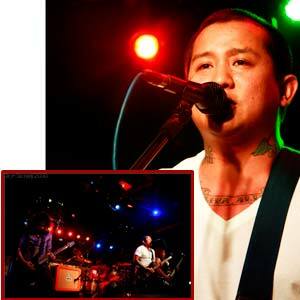 Colleagues and contemporaries from other bands were present that night, like the boys of Kamikazee and Pupil's Wendell Garcia and rock icon Ely Buendia. Music video director and musician RA Rivera directed the event. The upscale dance club will house different bands one night every month until December 2010. Some of the acts listed to perform include Bamboo, The Dawn, Wolfgang, Up Dharma Down, and Razorback. The event was also made possible by JB Music store chain, which provided the equipment and gear that evening, in partnership with J2unes production. "I just want to give people a nice time, like watching rock bands in a big club with a superb sound system," JB Music's vice-president for sales and marketing Jerico Fernando said in a statement.